A rare and exciting offering nearing completionâ¦.brand new home in the Fish Creek area on a cul-de-sac street with abundant sunshine and incredible views of Emerald Mtn and the Steamboat Ski Area. 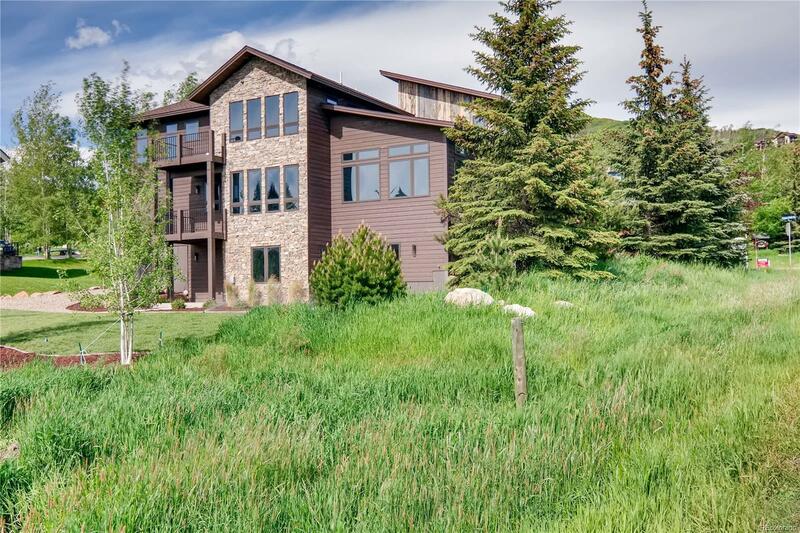 With 4,000 sq ft of mountain contemporary luxury, this home features 4 bedrooms, 6 bathrooms, 3 car heated garage (one tandem), study, fitness room w/ sauna, wine closet, and a large family room with wet bar. All bedrooms have en suite bathrooms and walk-in closets. The master suite enjoys huge views, a private balcony, spa-like bathroom with large shower and soaking tub, and a walk-in closet with full sized washer/dryer. Other features include Nest thermostats and wireless LED lighting that can be controlled remotely with phone, forced air heat and AIR CONDITIONING, professional grade appliances, custom barn doors, oak flooring, and more. Complete list of features and construction specs available upon request. Convenient location a short walk from the Blue Sage Trail leading to downtown.